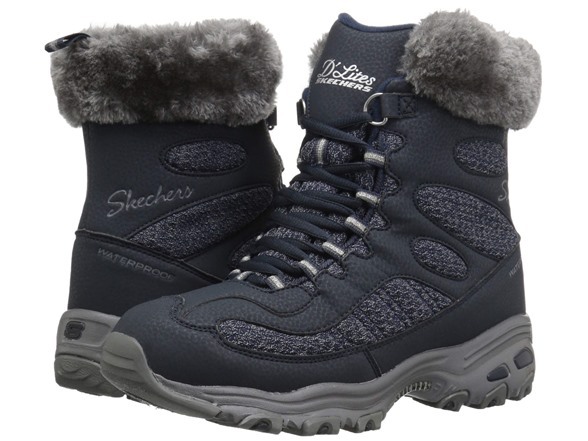 Stay warm and dry in winter weather with sporty style and comfort wearing the SKECHERS D'Lites - Bomb Cyclone boot. 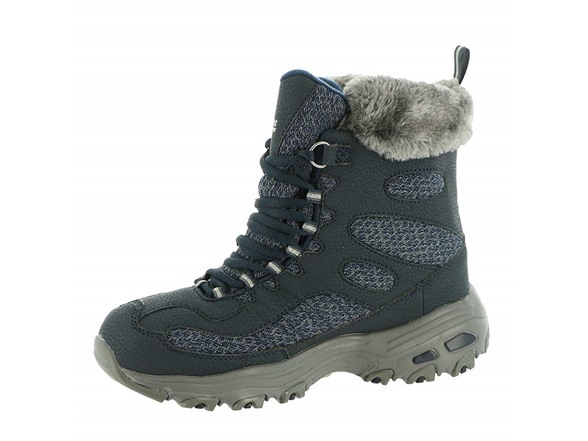 Waterproof smooth synthetic and knit mesh fabric upper in a mid calf height casual cold weather lace up sneaker boot with stitching and overlay accents. 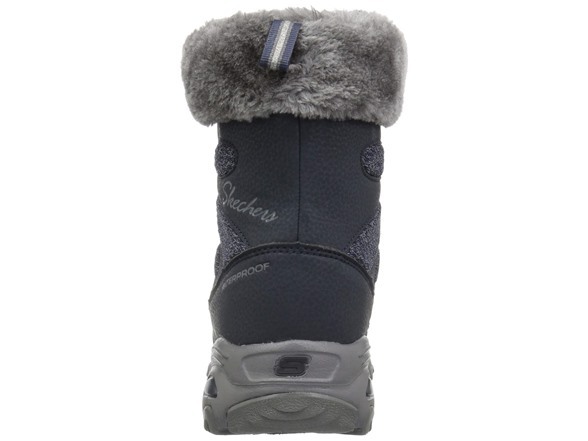 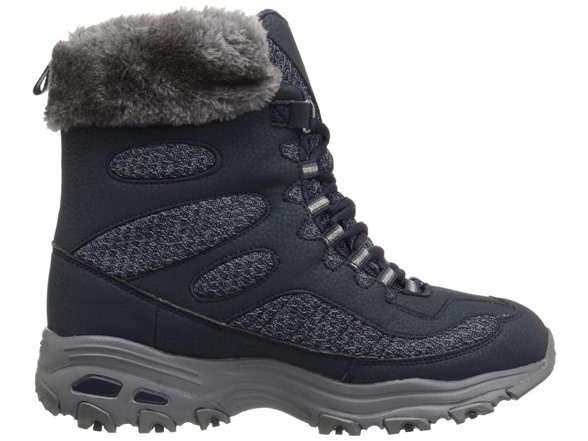 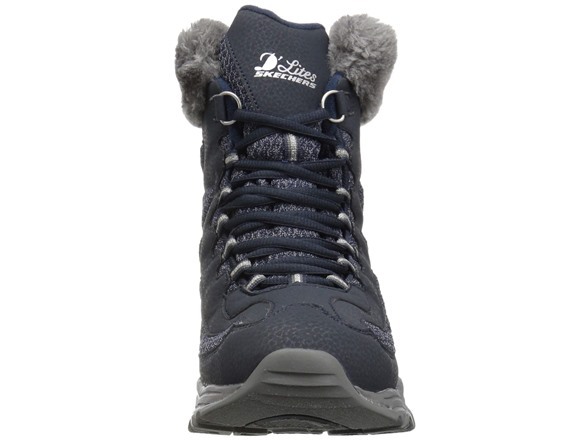 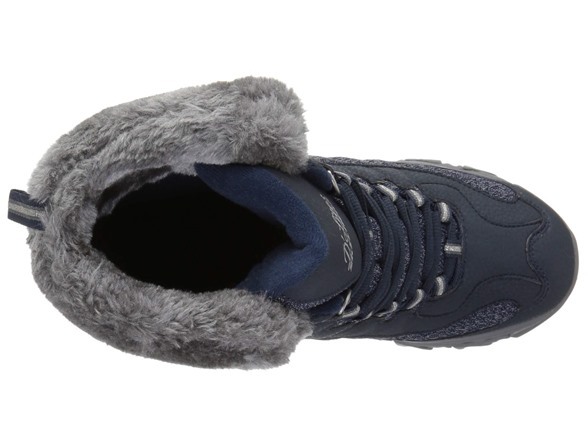 Faux fur trim, Thinsulate insulation, Warm Tech Memory Foam insole.